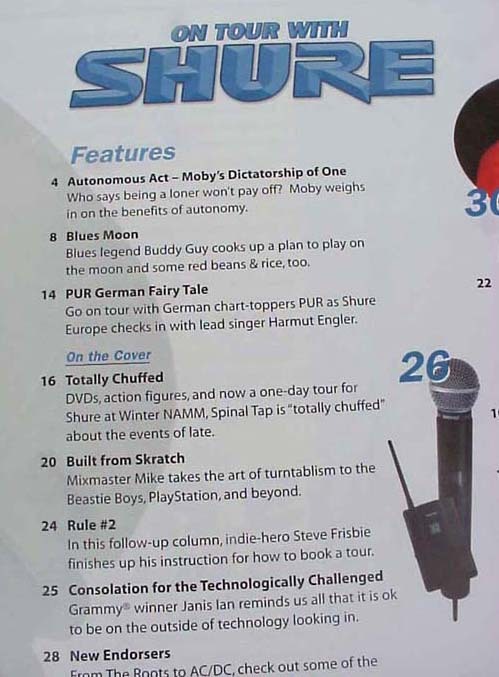 2001 "ON TOUR WITH SHURE"
Offering this very cool ORIGINAL 2001 "ON TOUR WITH SHURE" 31 page publication shown. 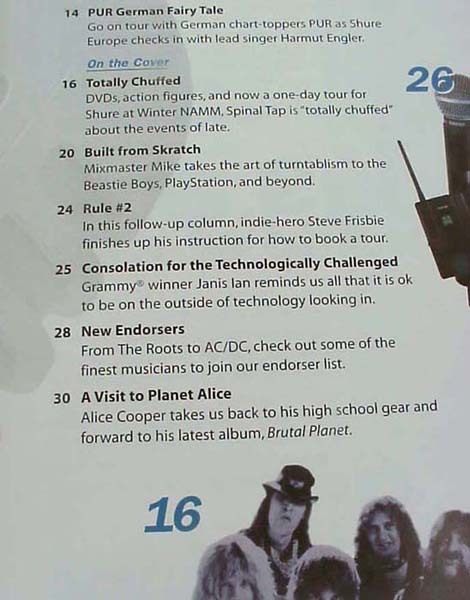 It features many endorsers of Shure products and articles on Moby, Buddy Guy, PUR, Spinal Tap, etc..measures 8 1/2" x 11" . . ORIGINAL and excellent ..